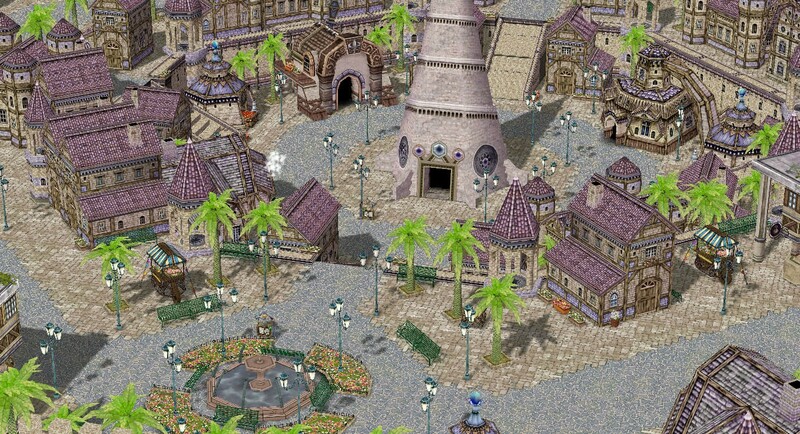 Geffen is the city west of Prontera. It's home to the Mage the Wizard guilds. The prominent feature is Geffen Tower. Beneath Geffen Tower is an underground dungeon. Scholars say that Geffen was built over ruins of the elven city of Gefenia, and artifacts from this bygone era can be found there. Northwest of Geffen is Glast Heim, an infamous dungeon complex. The Blacksmith Guild was once in Geffen, but it has moved to Einbroch, where it is more thematically-appropriate. The Knightmaster of the Geffen branch of the Knights' Guild is Danil. The knights often work with the mages and wizards to fight off the kobolds. There is also a relatively new branch of the Odin Orthodox Church here, too, but so far it has few members. Currently, the leaders of this branch are still developing their policies. I mentioned a rivalry between the wizards and blacksmiths back in the Prologue, but that was mostly a nod to Ragnarok Wisdom. As it stands now, I haven't decided if the blacksmiths have left Geffen for Einbroch.